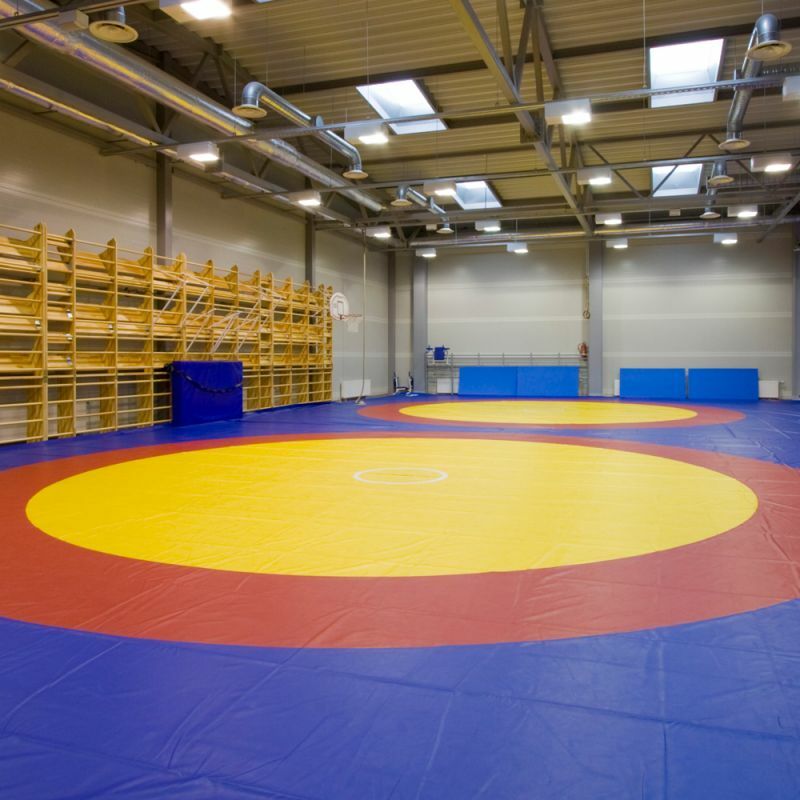 The Wrestling Hall is suitable for judo, dojo, Greco-Roman wrestling. It is possible to divide the hall into two autonomic spaces by using the drop-partition. This allows people to hold practices in to two halls consecutively. The hall has special flooring (tatami), which is certified by the International Judo Federation (IJF). The hall is fully equipped with the necessary sports equipment: pull-up bars, parallel bars, ropes and gymnastics benches.